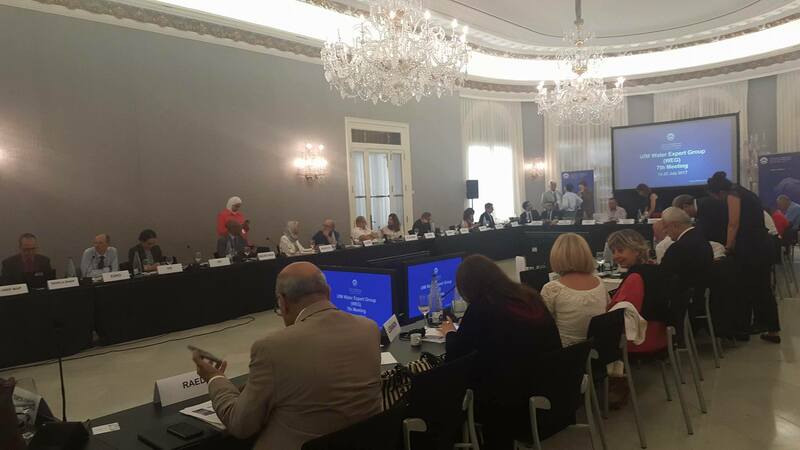 Seventh Water Expert Group (WEG) Meeting was held in Barcelona on 19- 20 July 2017. This WEG meeting was the first meeting convened after the approval of the UfM Ministerial Declaration on Water last 27th April in Malta. During the meeting, it was agreed that there is a need for adequate data to design informed policies as well as a priority to finance ongoing projects. In this context, SEMIDE presented the "Mediterranean water knowledge platform" as a project that obtained the label of the UfM since 2014. The Mediterranean Water Knowledge Platform aims to strengthen the capacities of Mediterranean basin countries to produce valuable data on the status of water resources and their uses to optimize planning and water management in the context of climate change. Representative of Mediterranean countries (Egypt, France, Lebanon, Mauritania Tunisia) confirmed that data is a priority at national and regional levels to deal with water scarcity and improve the research sector. These work areas will be developed by the joint work of willing members states, co-chairs and the Ufm Secretariat with support from its partners including international organization, regional organization, civil society as well as donor community and international finding institutions. A specific policy discussion was held on the WEFE nexus, counting on contributions from international partners. Comments and suggestions emerging from the discussion will feed the drafting of the work progress on the agreed area. Specific presentations were given by the WB, EIB, EBRD who presented their views on elements to consider for the work on the financial strategy. This was followed by discussion from the countries /EU and a presentation from the Ufm on the financial strategy concept note.